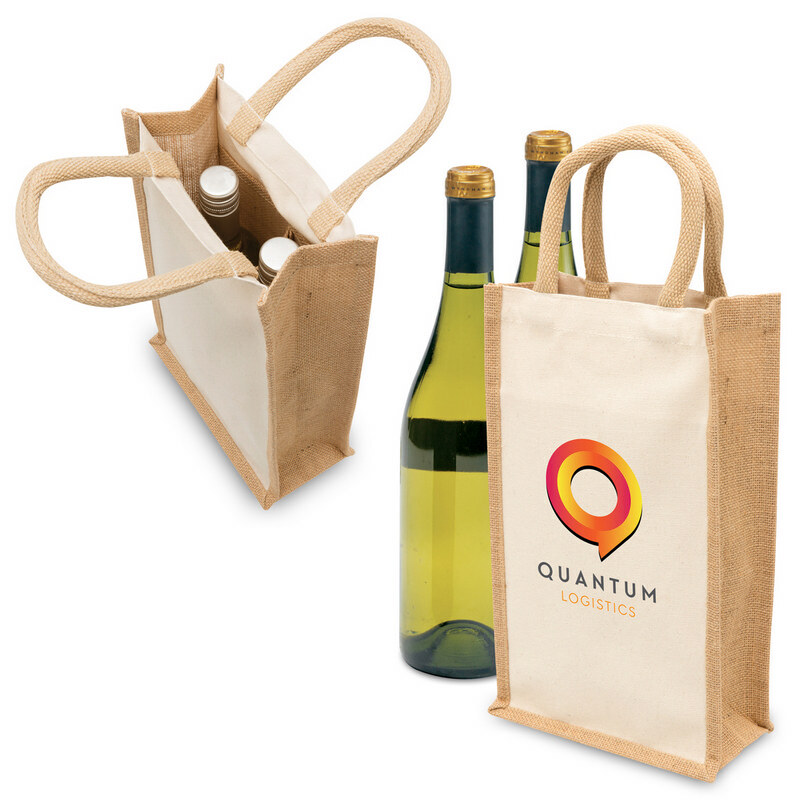 Made with eco-friendly durable Jute and canvas fabrics which absorb moisture and allow airflow, along with a centre bottle divider makes this two bottle carrier perfect for a wide variety of applications. Product Features: 100% natural Jute sides and base | Heavy canvas front and back panels | Comfort cotton rope carry handles | Jute bottle divider | Internal slip pockets | Laminated backing for strength and durability | Tough and eco-friendly renewable resource | Helps reduce the use of plastic shopping bags. Product Item Size: 20cm w x 35cm h x 11cm d. Colours Available: Natural. Decoration Options Available: Embroidery | Screen Print | Supacolour. Decoration Areas: Embroidery / Supasub Areas, Front panel: 95mm diameter, Back panel: 95mm diameter | Supacolour / Print Areas, Front canvas panel: 130mm w x 200mm h, Back canvas panel: 130mm w x 200mm h.